Canada, the world’s second largest country, stretches out over almost 10 million m2. You can find many different landscapes here, from the vast mountains of Jasper to the flat grasslands of Manitoba and Saskatchewan. There is a contrast between Canada’s city cultures too, with the relaxed atmosphere of Vancouver compared to the cosmopolitan, bustling metropole that is Toronto. 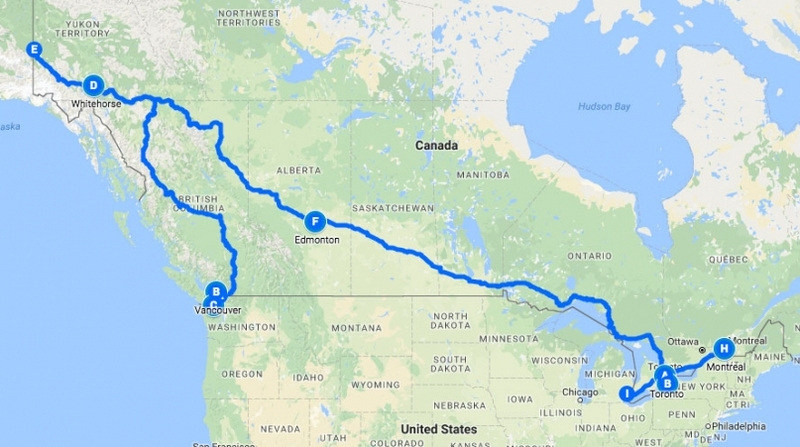 The budget way to get around is by Greyhound bus, although you can certainly overdo it: I took a bus from Whitehorse (Yukon) to Toronto which lasted 4 full days and made me forget my name. There is plenty of amazing wildlife, especially in the dense forests of the Banff and Jasper areas. If you’re really into off-the-beaten-path adventures, there is plenty of wild nature in the north of the country. Just make sure to watch out for Grizzly bears!